The Heritage Haunt was a non-profit Halloween fundraiser, set in an allegedly haunted house at Heritage Junction in Hart Park. It benefited from the authentic feel of the old Newhall Ranch House and other historical buildings maintained at the sight by the Santa Clarita Historical Society. At its best Heritage Haunt cleverly exploited the legends of ghost purportedly residing there. Proceeds from the event helped preserves the history of the local area, which was both a mining community and later the location for filming early silent cowboy movies starring William S. Hart. Heritage Haunt began in 2007 when several home haunters donated sets, props, and/or manpower to the non-profit Santa Clarita Historical Society, turning the Newhall Ranch House into a professional-quality walk-through haunt. Based on actual legends of the old Western mining community in the area, the 2008 incarnation of the annual Halloween attraction was titled Curse of the Ghoul Mine. With an eerie soundtrack, the emphasis was on making your skin crawl rather than on making you jump out of your skin - although there was some of that as well, accomplished both by actors in makeup and by mechanical props lurching up like malevolent Jack-in-the-Boxes. The 2009 expanded edition was themed Nightmares of Newhall, adding several other features such as mini-mazes and a yard-haunt-type pirate ghost ship display. Other historical buildings on the premises were inhabited by ghouls, creating outdoor scare zones. 2010 featured a lengthy hayride, but the Newhall Ranch Haunted House was reduced from a walk-through to a single seance scene - a major disappointment. After this, the rumor was that the Heritage Haunt would not return, because of behind-the-scenes difficulties over permits and permissions (which put the kibosh on the haunted Ranch House). In 2011, the haunt went on hiatus, and many of the crew moved on to a new Halloween event: Horror Valley High School, in Santa Clarita. However, Heritage Haunt did not slip quietly into the grave; instead, it returned in 2012 - on a smaller scale, closer to its previous incarnations, and best of all - with the Newhall Ranch House once again the centerpiece. “Our Goal is to be distinctive and a provide unique experience for our visitors,” says Ed Marg, of the Santa Clarita Historical Society, which presents the haunt as an annual non-profit fund-raising effort. 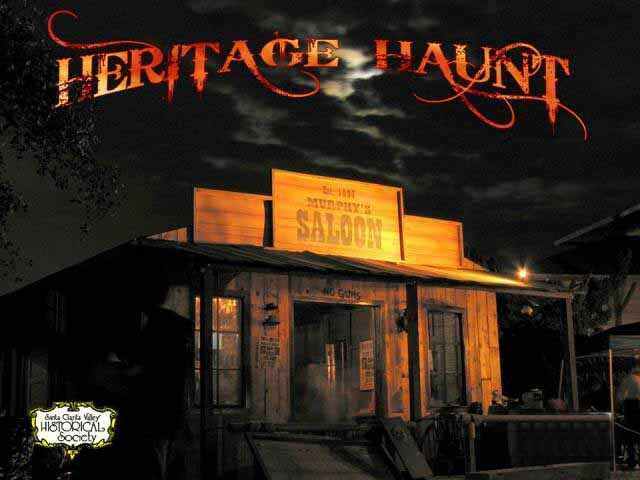 2013 followed the same stragegy, emphasizing the authentic atmosphere that made Heritage Haunt stand out at its best. 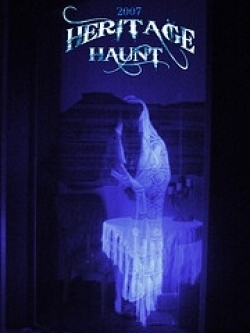 However, 2014 saw a major change, with the haunt replaced by an allegedly authentic ghost-hunting experience, exploiting the Newhall Ranch House's haunted reputation. The following, the Heritage Haunt announced that it was closing its doors forever. 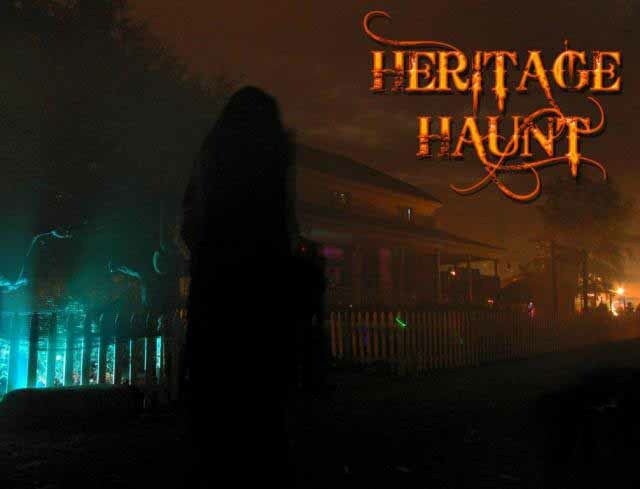 Read Heritage Haunt archive here. Check out our archive of Heritage Haunt articles.